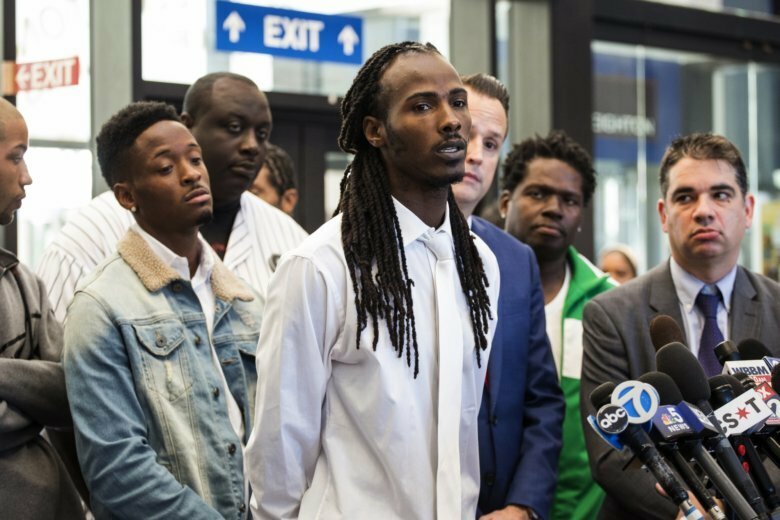 CHICAGO (AP) — An Illinois judge on Monday vacated the convictions of 18 more men investigated by a corrupt Chicago police sergeant, with a state’s attorney later in the day apologizing for what they had to go through. The latest dismissals, which prosecutors had requested, bring to 42 the total number of individuals investigated by then-Sgt. Ronald Watts who have had their convictions tossed in recent years. Watts and his crew of tactical officers allegedly shook down drug suspects, planted evidence and arranged false testimony to secure convictions. One man cleared Monday, Martez Wise, spent time behind bars after Watts and another officer arrested him in 2006, falsely accusing him of spitting drugs out of his mouth. Authorities arrested Watt and another officer in 2012 after they shook down a drug courier who turned out to be an FBI informant. Watts received a 22-month sentence. Joel Flaxman, an attorney for six of the men whose convictions were thrown out, said in a statement that the justice system ignored the men for over a decade. “The system is finally listening, and we are finally seeing a measure of justice and accountability,” he said. The latest reversals involve drug cases brought between 2003 and 2008. The defendants received sentences ranging from probation to several years in prison, so any imprisoned have long since been released. A conviction-integrity unit is still looking at other cases involving Watts and his men.